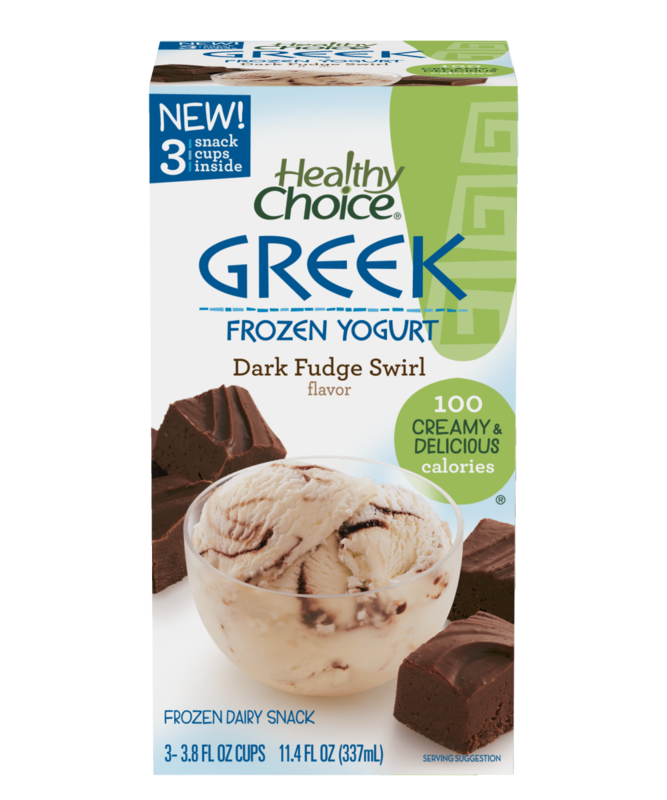 I was recently asked to participate in the review of some new Healthy Choice products. My first review of Greek Frozen Yogurt can be found here. Today I want to share Healthy Choice 100% Natural Cafe Steamers with you. 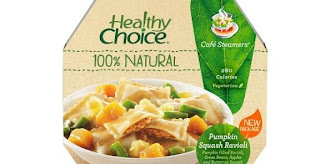 Healthy Choice frozen entrees aren't new to me, I've tried them before and I love, love, love the convenience of them. I've never been a fan of cold cut sandwiches in plastic baggies for lunch so Healthy Choice has been my go to lunch for many years. They're quick, 3-4 minutes in the microwave, delicious and fairly inexpensive. You're probably wondering what sets these frozen entrees apart from all the others. Well for one, Healthy Choice is now steaming up better than ever with improved vegetables and more sauce. They also listened to consumers on ways to improve their recipes and created five great new vegetarian options! The 100% Natural Cafe Steamers use a unique tray-in-tray technology that separates the ingredients while cooking. This keeps the vegetables crisper and the pasta al dente. Pumpkin Squash Ravioli: Tender pumpkin-stuffed ravioli with crisp green beans, sweet butternut squash, and juicy Granny Smith apples, topped with a tasty butter-sage sauce. Portabella Spinach Parmesan: Freshly-made whole wheat pasta, and now featuring even more baby portabella mushrooms, red peppers, tomatoes and spinach. As I already stated I love, love, love the convenience of Healthy Choice. 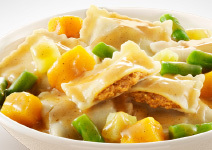 My very favorite is the Pumpkin Squash Ravioli! I could eat these every day. Actually I could eat any kind of pasta every day. But I am really disappointed that they switched out the asparagus and added green beans instead. After that shock wore off, my tongue did a happy dance and enjoyed the sweet and spicy combination of pumpkin, squash and sage sauce. The tangy apples were a lovely texture and balanced out the sweet taste nicely. With Whynot being somewhat of a picky eater, this is definitely something I will treat myself to in the future. He can have cold cut sandwich in a plastic bag. 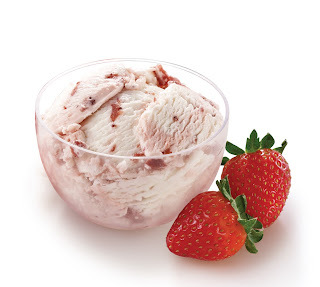 Check out the Healthy Choice website and be sure to print your coupon for $1.00 off any two (2) Healthy Choice® Café Steamers.